Exposure to environmental toxins can affect health. This at-home blood test provides insights about levels of heavy metals and essential elements in your body. Results include a personalized health plan. Humans are constantly coming into contact with heavy metals in their environment. While this contact can occur through food and water, it can also occur through air pollution, cosmetics, medications, and even many common items in the home and work environments. And although the body can naturally detoxify and eliminate many of these toxic substances, when levels become too high they can begin to adversely affect an individual's health. Part of the toxic tendency of heavy metals is to compete with the essential minerals that the body needs for normal function. By comparing some of the important nutritional minerals alongside heavy metals, one can better assess the how these toxic substances can have a negative impact on and health and wellbeing. Heavy metals are natural elements found in the earth's crust and throughout its soil. Their concentration often depends on the geographic region they are found in. While scientists classify heavy metals based on their atomic weight, more generally they are classified based on their toxicity. The most well-known heavy metals are lead, mercury, cadmium, and arsenic, but there are others. The problem is heavy metals aren't confined to staying in the ground. They migrate to other areas of the environment, like the air we breathe, the water we drink, and the food we eat. While most of the heavy metal content in the environment is due to human activity, natural phenomena like volcanic eruptions also contribute to heavy metal levels in the environment. The World Health Organization has stated that the increasing presence of heavy metals in the environment is "...associated to different degrees with a wide range of conditions, including kidney and bone damage, developmental and neuro-behavioral disorders, elevated blood pressure, and potentially even lung cancer." Heavy metal toxicity can adversely affect your health in a number of ways. Heavy metals can replace essential minerals in the bones, brain, liver, and other tissues. 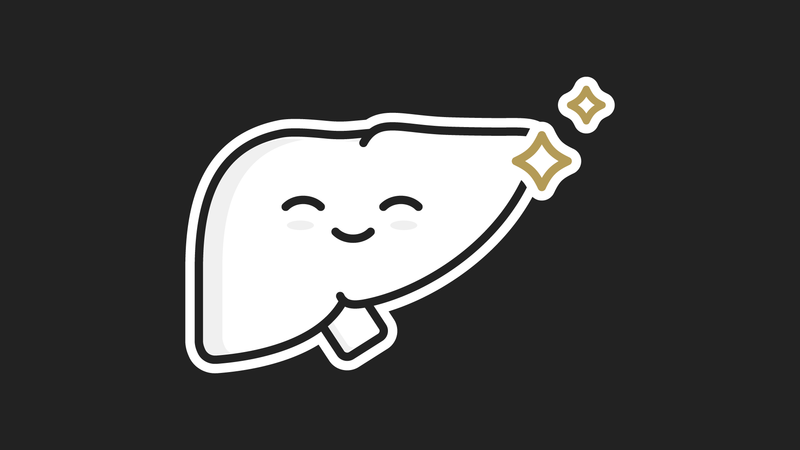 Sometimes, heavy metals compete directly with essential minerals for absorption and transport, thereby interfering with the body's biochemistry by creating oxidative stress or disabling the enzymes that are essential to the liver, brain, and nervous system function. Heavy metals consist of metallic elements like lead, mercury, and cadmium. Thorne testing also considers the levels of mineral elements, including zinc, copper, selenium, and magnesium, as these can be affected by &dash; or can be protective against &dash; heavy metal toxicity. Mercury is a silvery, metallic, liquid element that is very toxic, even in extremely small amounts. Unfortunately, mercury is ubiquitous in the environment, partly due to the fact that 50 tons of it are released into the atmosphere annually in the United States from coal-fired power plants and chlor-alkali plants that use mercury to make the chlorine used in plastics, pesticides, and polyvinylchloride pipes. These industrial uses have created a situation in which it is impossible to completely eliminate this toxic heavy metal from our environment. Mercury vapor in the air that can be inhaled is actually the least toxic form of this metal. Mercury vapor also falls to the earth during normal rainfall, thereby contaminating bodies of water such as streams, rivers, and lakes, and ultimately the oceans. Bacteria in these bodies of water change this form of "inorganic" mercury into "organic" methylmercury, which is far more readily absorbed into the body than is inorganic mercury and is also that much more toxic. Mercury is also found in dental amalgam &dash; "silver fillings" &dash; that dentists have used for over a century to repair cavities. This form of dental amalgam is usually one-half mercury, with the remainder consisting of silver, copper, and tin. The problem is, the dental amalgam can begin to break down, and when we chew or drink hot beverages, a small amount of mercury vapor from a filling can be released, which we then inhale and absorb. Mercury has also been used in vaccines (as thiomersal) as a preservative, such as in the measles/mumps/rubella vaccine, although the use of thiomersal has largely been abolished by pharmaceutical manufacturers. In addition, some plastics, tattoo inks, hair dye, cosmetics, skin-lightening formulas, and some cleaning solutions can contain mercury. Organic methylmercury is readily taken up by the fatty tissues in the body (especially the brain), where it can remain for many years. Similarly, inorganic mercury is absorbed by the kidneys, and can remain there for long periods, especially if exposure is ongoing. Elevated blood levels of mercury occurs after release of this stored mercury. The brain and nervous system are especially sensitive to long-term mercury exposure, and babies and young children are the most sensitive to mercury's negative health effects. Chronic mercury exposure has been associated with hypertension, cardiovascular disease, inflammation, arrhythmias, stroke, and atherosclerosis. Mercury toxicity also reduces the activity of a key enzyme that normally metabolizes the neurotransmitters epinephrine, norepinephrine, and dopamine. In general, mercury can taint enzyme systems throughout the body by binding with the enzyme's active receptor sites, rendering the enzyme unable to perform its function. Lead is less ubiquitous in the developed world than mercury, mostly because lead is no longer used as an additive in gasoline in the United States and is no longer being used as a paint additive. However, lead does remain a problem in developing countries. Although lead-based paints were banned in the United State in 1978, homes built prior to that ban can still contain lead-based paints, which, if disturbed, can cause contamination and toxicity. Underdeveloped countries still have considerable amounts of lead in use. Lead is still being used to manufacture car batteries. Individuals can also be exposed to lead from water pipes in older homes or the lead solder used to weld copper water pipes. Some car parts, hair dyes, and cosmetics can also contain lead. Although an individual might not be exposed to as much lead today, the person can still retain a body burden of lead acquired from childhood. This lead can be stored in tissues, such as bone, and might not show up in a routine test for lead. Stored metals can also be released into the bloodstream, as a result of hormonal changes (menopause, pregnancy), bone loss, bone injury, or significant weight loss. The soil and water in areas where mining activities have taken place can become very contaminated with lead. Children growing up in these areas are the most vulnerable to lead's harmful effects, which can result in serious developmental delays, nervous system damage, and even death. Lead exposure can also result in fatigue, weakness, neurological challenges, poor circulatory health, GI and kidney issues, and thyroid dysfunction. Cadmium, used in battery manufacturing and many other industries, can damage the kidneys, lungs, and liver. Like mercury, lead, and the mineral zinc, cadmium occurs in the earth's crust and occurs naturally in ores with lead and zinc. Tobacco smoking or "vaping" can expose a smoker to cadmium, because the tobacco plant can concentrate cadmium from cadmium-contaminated soil. Rice also tends to accumulate cadmium, especially when the rice is grown in areas irrigated with cadmium-polluted water, or in an area that formerly grew tobacco, as in some areas in the southeastern United States. Gasoline and motor oil, some cookware, some processed foods and drinks, batteries, fertilizers, and shellfish can also contain cadmium. Cadmium accumulates predominantly in the kidney, liver, and bones. It can take decades for the body to eliminate the total cadmium burden on its own. The kidney is the organ most damaged by cadmium toxicity, which can result in chronic kidney disease. Long-term exposure to cadmium is also associated with metabolic syndrome, diabetes mellitus, hypertension, heart failure, cancer, osteomalacia, osteoporosis, and an increased risk of death from all causes. Cadmium exposure can also decrease sperm viability. While high levels of heavy metals can be toxic, there are essential nutrients that help balance the levels of these toxic elements. Zinc, a vital mineral involved in more than 200 enzymatic reactions in the body, is an essential element for growth, immune function, and testosterone production, and it has potent antioxidant activity. A zinc deficiency can result in poor immune function, inhibited growth, and reduced nerve development. A zinc deficiency can also increase the toxicity of heavy metals. While zinc toxicity is rare, very high levels of zine are associated with a higher risk for metabolic syndrome. Toxic levels of copper can reduce zinc levels, while adequate amounts of zinc can reduce toxic levels of copper in the body. 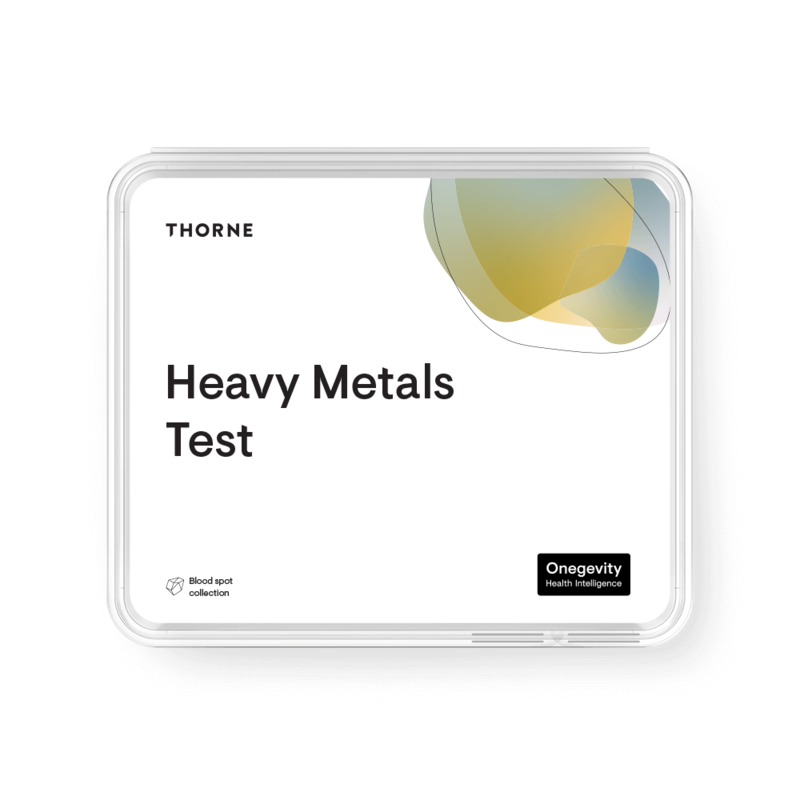 For this reason, Thorne's Heavy Metal Test measures the ratio of zinc to copper, as well as the individual minerals to make sure they are well balancednull. Copper is an essential element for the health of the bones, connective tissue, heart, brain, and skin, and normal lipid metabolism, although having a copper level that is too high can be toxic. Sources of copper can include drinking water, shellfish, intrauterine devices used for contraception, and cookware. A chronically high level of copper can negatively affect immune health, reproductive health (in both men and women), and bone health, as well as result in a zinc deficiency. Again, this is why Thorne's Heavy Metal Test measures the ratio of copper to zinc, as well as each individual mineral to ensure they are well balanced. Selenium is a vital mineral for normal thyroid function, antioxidant function, and cellular health. Selenium is also associated with heart health and connective tissue, eye, and liver function. A healthy level of selenium is protective against mercury, cadmium, and other heavy metal toxicities. Magnesium is present in all cells of the body and is involved as a nutrient cofactor in more than 600 biochemical reactions, including energy production. Magnesium is also essential for maintaining normal bone density, normal heart rhythm, healthy lung function, and normal blood sugar regulation. 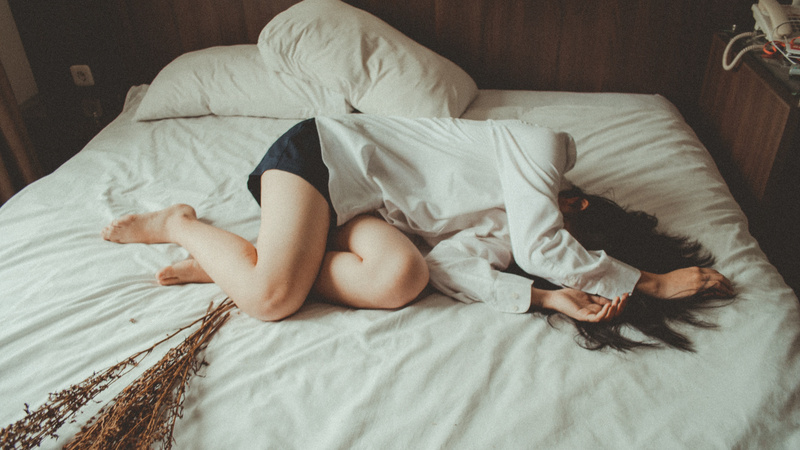 Unfortunately, it is estimated that 75 percent of U.S. adults are deficient in magnesium. Low blood levels of magnesium have been associated with cadmium exposure. Maintaining an optimal blood magnesium level might be protective of the cellular damage caused by lead or cadmium toxicity. The human body works diligently to remove heavy metals from the bloodstream and to carry them into storage tissues, such as the bones, brain, kidney, and liver. Therefore, any measure of heavy metal levels should be seen as a screening test that evaluates heavy metal status at a single point in time. The whole blood, heavy metal testing method used here provides a snapshot of the heavy metal levels in the blood and blood cells. Individual heavy metal levels are reported in relation to the accepted healthy limits in humans. When a particular heavy metal is found to be high, it can be interpreted to mean there is either current exposure to a heavy metal or the heavy metal is migrating from tissue stores into the bloodstream; for example, via a medication, weight loss, or hormonal changes. When the level of a heavy metal is found to be too high, it is recommended that the individual seek medical support for more definitive heavy metal testing. This might include urine testing, red blood cell testing, fingernail testing, or hair testing for the presence of heavy metals. In conclusion, the current test is a useful screening test for multiple metals that gives a snapshot at a single point in time. The recommendations provided with the test results are general recommendations that can benefit anyone who wishes to reduce metal exposure or engage in supportive nutrition. Any specific treatments for metals should be undertaken with advice from a health-care professional. Anetor J, Ajose O, Adebiyi J, et al. Decreased thiamine and magnesium levels in the potentiation of the neurotoxicity of lead in occupational lead exposure. Biol Trace Elem Res 2007;116:43-51. Avila J, Lacomis D. Proximal limb weakness in a patient with celiac disease: Copper deficiency, gluten sensitivity, or both as the underlying cause? Case Rep Neurol Med 2016;2016:5415949. Bulat Z, Dukic-Cosic D, Dokic M, et al. Blood and urine cadmium and bioelements profile in nickel-cadmium battery workers in Serbia. Toxicol Ind Health 2009;25:129-135. doi: 10.1177/0748233709104488. Chowdhury B, Chandra R. Biological and health implications of toxic heavy metal and essential trace element interactions. Prog Food Nutr Sci 1987;11:55-113. Eliaz I, Hotchkiss A, Fishman M, Rode D. The effect of modified citrus pectin on urinary excretion of toxic elements. Phytother Res 2006;20(10):859-864. Eliaz I, Weil E, Wilk B. Integrative medicine and the role of modified citrus pectin/alginates in heavy metal chelation and detoxification – five case reports. Forsch Komplementarmed 2007;14:358-364. Eliaz I. Modified citrus pectin decreases the total body burden of mercury: a pilot human clinical trial. Presentation to the 228th American Chemical Society National Meeting 2004: Philadelphia, PA.
Gaetke L, Chow-Johnson H, Chow C. Copper: toxicological relevance and mechanisms. Arch Toxicol 2014;88:1929-1938. doi:10.1007/s00204-014-1355-y. Goyer R. Toxic and essential metal interactions. Annu Rev Nutr 1997;17:37-50. Houston M. Role of mercury toxicity in hypertension, cardiovascular disease, and stroke. J Clin Hypertens (Greenwich) 2011;13:621-627. doi: 10.1111/j.1751-7176.2011.00489.x. https://www.fda.gov/Food/ResthecesForYou/Consumers/ucm393070.htm. Accessed December 27, 2017. Jeng H, Huang Y, Pan C, Diawara N. Role of low exposure to metals as male reproductive toxicants. Int J Environ Health Res 2015;25:405-417. doi:10.1080/09603123.2014.958137. Kido T, Honda M, Tsuritani I, et al. Progress of renal dysfunction in inhabitants environmentally exposed to cadmium. Arch Environ Health 1988;43:213-217. Kumar P, Hamza N, Madhok B, et al. Copper deficiency after gastric bypass for morbid obesity: a systematic review. Obes Surg 2016;26:1335-1342. doi: 10.1007/s11695-016-2162-8. Lech T. Lead, copper, zinc, and magnesium content in hair of children and young people with some neurological diseases. Biol Trace Elem Res 2002;85:111-126. Maret W. The bioinorganic chemistry of lead in the context of its toxicity. Met Ions Life Sci 2017;17. doi: 10.1515/9783110434330-001. Matovi? V, Buha A, Bulat Z, Duki?-?osi? D. Cadmium toxicity revisited: focus on oxidative stress induction and interactions with zinc and magnesium. Arh Hig Rada Toksikol 2011;62:65-76. doi: 10.2478/10004-1254-62-2011-2075. Matovi? V, Plamenac-Bulat Z, Djuki?-Cosi? D, Soldatovi? D. Antagonism between cadmium and magnesium: a possible role of magnesium in therapy of cadmium intoxication. Magnes Res 2010;23:19-26. doi: 10.1684/mrh.2010.0196. Medeiros D. Perspectives on the role and relevance of copper in cardiac disease. Biol Trace Elem Res 2017;176:10-19. doi:10.1007/s12011-016-0807-z. Nath R, Prasad R, Palinal V, Chopra R. Molecular basis of cadmium toxicity. Prog Food Nutr Sci 1984;8:109-163. Noël L, Guérin T, Kolf-Clauw M. Subchronic dietary exposure of rats to cadmium alters the metabolism of metals essential to bone health. Food Chem Toxicol 2004;42:1203-1210. Patrick L. Lead toxicity part II: the role of free radical damage and the use of antioxidants in the pathology and treatment of lead toxicity. Altern Med Rev 2006;11:114-127. Peraza MA, Ayala-Fierro F, Barber DS, et al. Effects of micronutrients on metal toxicity. Environ Health Perspect 1998;106:S203-S216. Plum LM, Rink L, Haase H. The essential toxin: impact of zinc on human health. Int J Environ Res Public Health 2010;7:1342-1365. doi:10.3390/ijerph7041342. Poujois A, Djebrani-Oussedik N, Ory-Magne F, Woimant F. Neurological presentations revealing acquired copper deficiency: diagnosis features, etiologies and evolution in seven patients. Intern Med J 2017;Oct 16. doi: 10.1111/imj.13650. Ruggieri F, Majorani C, Domanico F, Alimonti A. Mercury in children: current state on exposure through human biomonitoring studies. Int J Environ Res Pub Health 2017;14:519-545. doi: 10.3390/ijerph14050519. Satarug S, Vesey D, Gobe G. Kidney cadmium toxicity, diabetes and high blood pressure: the perfect storm. Tohoku J Exp Med 2017;241:65-87. doi:10.1620/tjem.241.65. Sears M. Chelation: harnessing and enhancing heavy metal detoxification – a review. Sci World J 2013; doi:10.1155/2013/219840. Taylor S, Laughlin R, Kumar N, et al. Clinical, physiological, and pathological characterization of the sensory predominant peripheral neuropathy in copper deficiency. J Neurol Neurosurg Psychiatry 2017;88:839-845. doi: 10.1136/jnnp-2017-316304. Zhao Z, Liang L, Fan X, et al. The role of modified citrus pectin as an effective chelator of lead in children hospitalized with toxic lead levels. Altern Ther Health Med 2008;14(4):34-38. Heavy metals consist of metallic elements like lead, mercury, and cadmium. Thorne testing also considers the levels of mineral elements, including zinc, copper, selenium, and magnesium, as these can be affected by – or can be protective against – heavy metal toxicity.